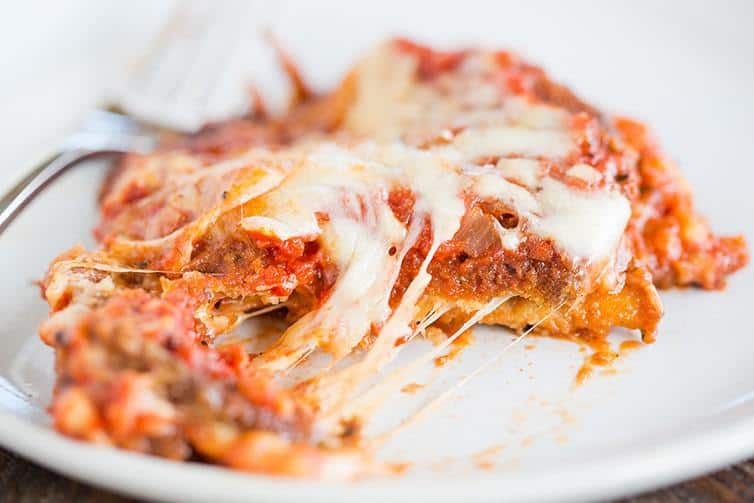 This eggplant parmesan recipe is my father-in-law’s signature dish and it always receives rave reviews, even from people who are sworn eggplant-haters. 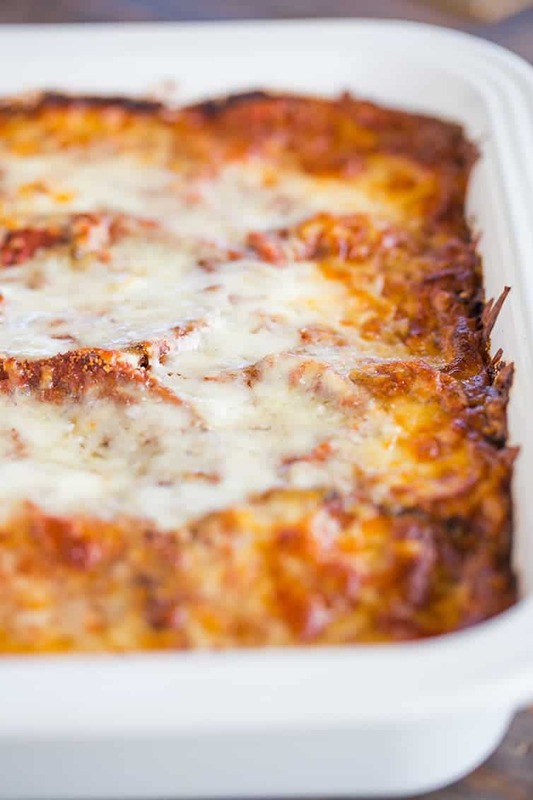 With multiple layers of fried eggplant, pasta sauce and tons of cheese, you can’t go wrong! It’s here! Quite possibly the most requested recipe since I started sharing our Sunday dinner menus a few years ago; so many of you have begged for my father-in-law’s eggplant parmesan recipe, and I’m excited to finally share it with you! Now full disclosure here before we jump into the recipe… I am NOT an eggplant fan. Which is to say, I really don’t like it much at all. So the very first time my father-in-law ever served this when I was dating my husband, I took a small piece to be polite, but truly was not expecting to like it. But, OMG, I actually LOVED it. And other people in our family who have sworn off eggplant have fallen in love with this eggplant parm, and declared it the best they’ve ever had. 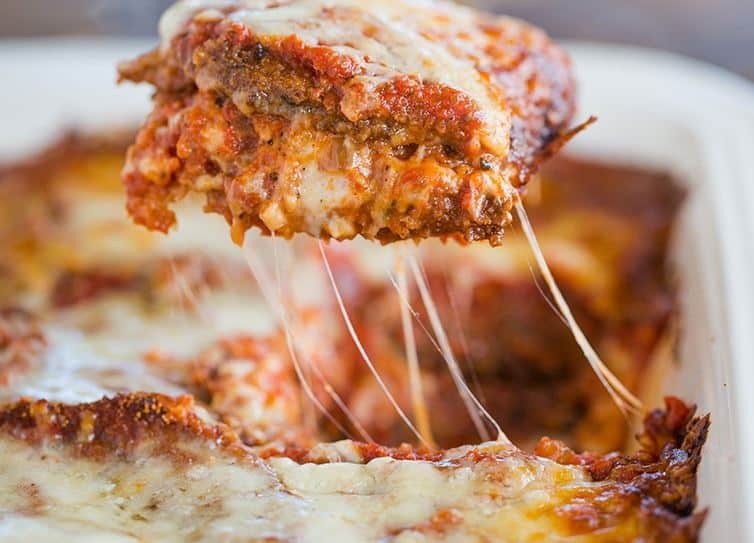 There are no special ingredients, but layers upon layers of thinly sliced, fried eggplant, homemade pasta sauce, and lots of cheese is certainly hard to beat! How Do You Prepare Eggplant for Eggplant Parmesan? This is probably the most vital part of preparing eggplant parmesan, and also the most time-consuming part of the process. My father-in-law swears by thinly-sliced eggplant that has been salted to remove the bitterness, then breaded and fried. How thick do you cut eggplant for eggplant parmesan? His recipe calls for 1/8-inch thick, but basically, as thinly as you can safely get it! My mandoline and food processor are both too narrow for the bulbous eggplants, so I sliced by hand and just went slowly and got them as thin as possible. My father-in-law swears by 4C brand Italian bread crumbs; he says that they have more flavor and more garlic than other brands. Do not crowd the pan when frying; if you have large slices of eggplant, you may only be able to fit four slices at a time. If you have a deep fryer, you could use that, too. Be sure to place the fried slices on a paper towel-lined pan to drain the oil. I only did one thing differently than my father-in-law’s recipe.. he does not put a layer of mozzarella cheese on top, but adds more in the interior layers; he just puts sauce and Parmigiano-Reggiano on the top layer. However, I love a cheesy, browned, bubbling top layer on something like this, so I veered slightly. I couldn’t help myself! Day 1: Prep and fry the eggplant, then refrigerate once cooled. Can also make the sauce this day, as well. Day 2: Assemble the eggplant parmesan. Day 3: Bake and eat! 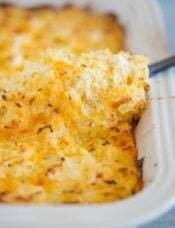 This is also a great baked casserole to freeze both before and after it’s been baked. 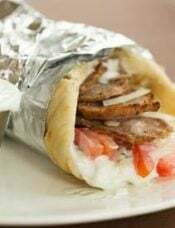 Simply cover tightly in foil and freeze for up to 2 months. 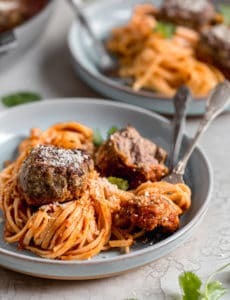 I so hope that you’ll give this eggplant parmesan a try and that your family loves it as much as we do! And I promise, if you’re not an eggplant fan, there is a huge chance that you’re going to love this anyway! My father-in-law's signature dish that always receives rave reviews; layers of fried eggplant, pasta sauce and tons of cheese! Prepare the Eggplant: Place the sliced eggplant in a colander and sprinkle with the kosher salt. 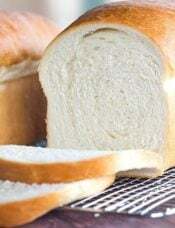 Allow to sit for 15 minutes, then rinse and place on a double layer of paper towels and pat dry. Place the lightly beaten eggs in one shallow bowl, and the bread crumbs in another (I like using pie plates for this!). Dip the slices of eggplant into the egg, allowing any excess to drip off, then coat in the bread crumbs. 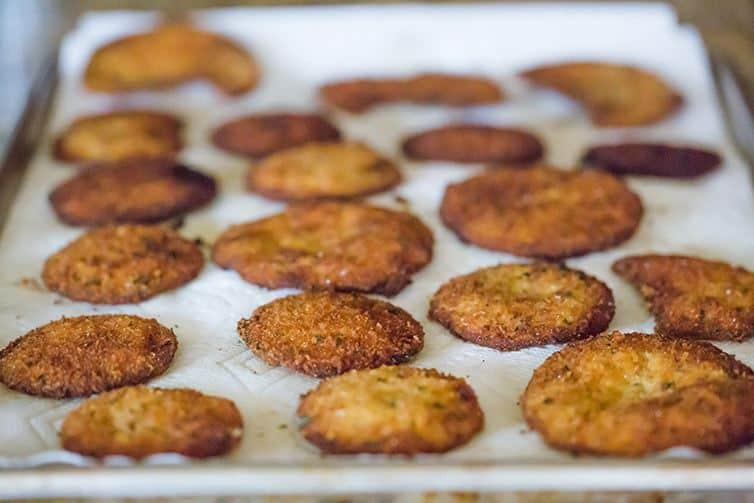 Place the breaded eggplant on a baking sheet while you prepare the rest. Pour the olive oil and vegetable oil in a large, deep skillet (I use a 12-inch cast iron skillet) and heat over medium-high heat. Add a pinch of bread crumbs to see if the oil is ready - if they begin bubbling and sizzling the oil is ready. Add the eggplant slices a few at a time (do not overcrowd the pan, four is about the max amount per batch) and cook until golden brown, about 2 minutes per side. Remove to a paper towel-lined baking sheet to drain. Assemble the Eggplant Parmesan: Preheat oven to 350 degrees F.
Spread ¾ cup of the pasta sauce over the bottom of a 9x13-inch baking dish. 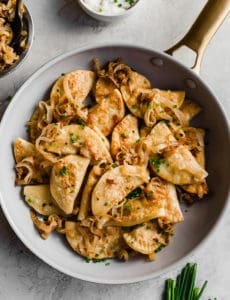 Cover the sauce with slices of eggplant (the pieces can overlap), then spread 1 cup of sauce over the eggplant slices, sprinkle with 2 cups of the shredded mozzarella cheese, and 1/3 cup of the Parmigiano-Reggiano cheese. Repeat another layer of eggplant, 1 cup of sauce, 2 cups shredded mozzarella and 1/3 cup Parmigiano-Reggiano cheese. For the last layer, add the sliced eggplant, 1 cup of sauce, remaining 1 cup shredded mozzarella, and 1/3 cup Parmigiano-Reggiano cheese. Cover the pan with foil and bake for 30 minutes. 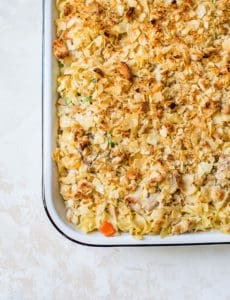 Remove the foil, increase the oven temperature to 375 degrees F, and continue to bake for another 10 to 15 minutes, or until the cheese on top is melted, browned and bubbling. Allow to rest for 10 minutes before serving. 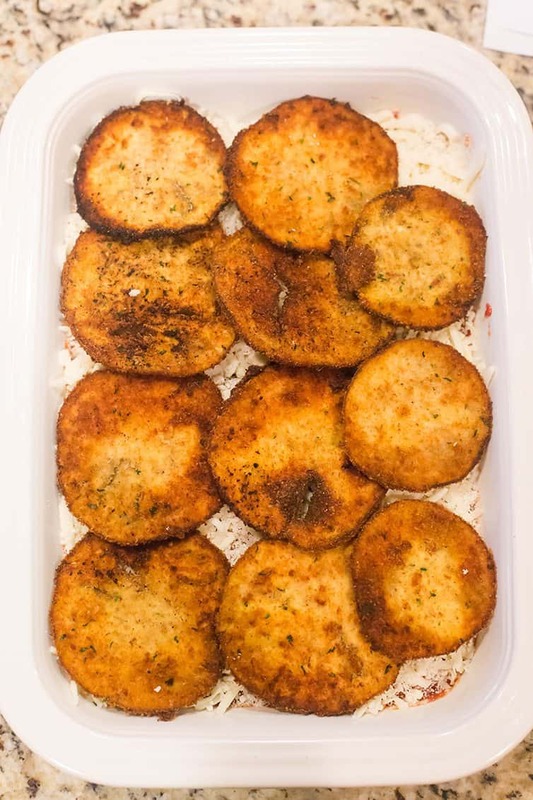 My father-in-law has tried some different variations with breaded eggplant that had been baked, and everyone agreed that it wasn't nearly as delicious. He's also tried panko bread crumbs, but again, everyone was in agreement that regular Italian-seasoned bread crumbs were best. Use your favorite spaghetti sauce, whether it's homemade or jarred. Of course my favorite is my father-in-law's meat sauce; if you want to keep this totally vegetarian, just omit the meat from the sauce. You can assemble this in stages - prepare the eggplant day 1 (refrigerate), then assemble the eggplant parmesan the next day, cover and refrigerate, and bake on the third day. 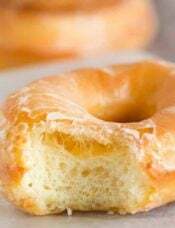 This can also be frozen before or after baking; cover tightly with foil and freeze for up to 2 months. Reheat in 350 degree oven. After my wife (who I adored) left me, I begrudgingly drug myself back into the dating scene. I soon met a woman online who was educated, intelligent, good humored, accomplished, and absolutely beautiful, I invited her over for dinner for our first date. Among all of her interesting (and mostly wonderful) characteristics, she also happens to be a vegetarian. A carnivore myself, I wasn’t very well acquainted with vegetarian dishes. Knowing I’d have but one chance to impress her, I threw caution to the wind and decided that this dish that I had never prepared before would be our first meal together. I built it exactly as prescribed. That meal was four months ago and now I proudly introduce her as my girlfriend. She still sings the praises of that first meal together to whoever will listen. Thanks for the recipe. 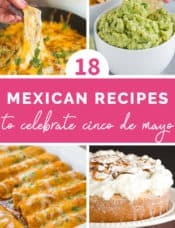 This recipe is good but way to salty!! Way to Salty, when you soak in the salt even if you rinse good it still absorbs the salt. Parmigiana Reggiano is very salty. Never,Never add salt to this recipe. Hi Maria, You can bake it straight from the fridge, but may need to add 10-15 minutes to the baking time. Enjoy! This was so freakin good!!!! I fallowed the recipe exactly and it worked. Delicious , my husband thought it was lasagna. Delicious! A lot of work but easy at the same time. 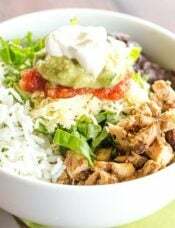 Thanks to your father-in-law and you for sharing this recipe! The eggplant itself has a touch of flavor so it’s not just a bland thing inside the breading. This is the first time I have come across olive oil+vegetable oil for cooking, which makes such a difference in flavor–and also really, really difficult to burn, lol. I made this eggplant parm and thought it might be similar to one I’ve made before, but, OH, was this good! Everyone loved it! It had a great flavor, held together well, had lots of cheese, and the eggplant was soft and tasty! Thank you for the great recipe! It’s a keeper!